Crypto News - Has TronBank Dapp Attack Open Doors to Tron Dapps Vulnerabilities? Slowmist concluded that the TronBank contract was could not judge msg.tokenid , which is the tag value in the message call, in the invest function allowing any token (even fake tokens) to be transferred in and the contract considered it as real BTT. With fake BTT accepted, the attacker now has balance and can call for withdrawal thus extracting the real value of the BTT from the contract. The attacker follows other existing attack methods, like the method of fake EOS. As a solution to this, Beosin security team suggested that the project parties should simultaneously determine whether “msg.tokenvalue” and “msg.tokenid” meet expectations when receiving the cryptocurrencies. 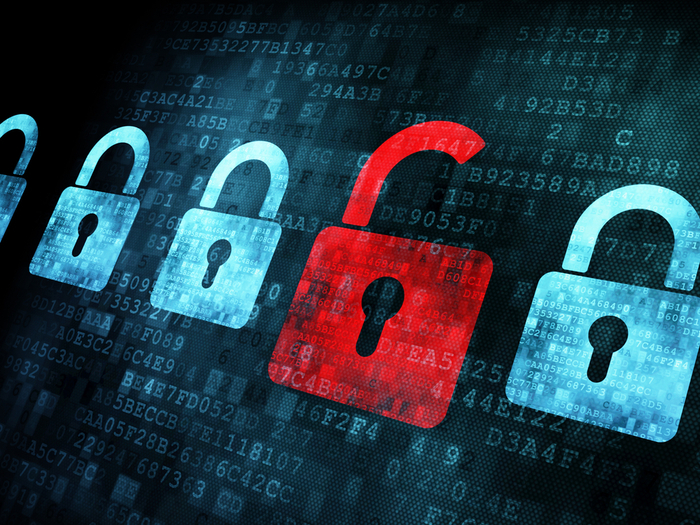 Beosin security team also gives the repaired method of the vulnerable codes. The following Invest functions increase the code: require (msg.tokenid == 1002000); require (msg.tokenvalue >= minimum); minimum is the minimum investment amount. While a detailed statement could be awaited, Beosin has clearly pointed out how Tron Dapp’s are vulnerable and could be exploited if not repaired soon. 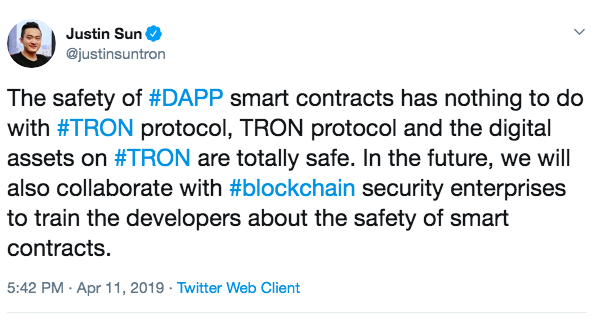 Hope this vulnerability doesn’t open flood gates for Tron and ultimately hamper the complete Dapp ecosystem. Will Tron step up to save its Dapp ecosystem with these vulnerabilities? Do let us know your views on the same. Has TronBank attack open doors to Tron Dapp vulnerabilities? Tron has been growing its Dapp ecosystem at a real great speed and has been boasting about its agility, non-congested network and security. But this statement is slowly falling apart as Tron’s Dapp TronBank recently got targeted with fake coins. Now the question lies ahead has this attack open doors to vulnerabilities in Tron’s dapp ecosystem.